Following the release of her empawa debut; the video for her cherished single, Games, Lady Donli has been away from the scene, hard at work perfecting the release of her first official single, Cash off her forthcoming album. Hot on the heels of the release, Lady Donli shares the scintillating video for the single, one that hampers on the fact that with Cash, she is evolving in sound and style. 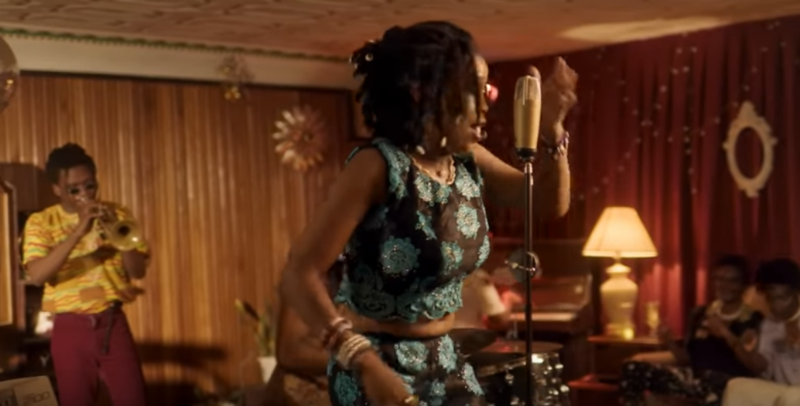 Being the gateway to a more sophiscated sound, the video for Cash sees Donli, her community and band members including Bris B, GMK, Femi Johnson, K Note and others in a very realistic light which bathes the former in the glory and gore of her likes and dislikes; features she digs into as she sings about her motivation. “The people be asking me, oh Lady when will you know, its all for the money” she sings as she captures the quintessential nature of her sound and shows off another side of the versatile artist we didnt know exists. From start to finish, Cash is an impressive collection of local but elite sounds – much similar to her performance on Mr Eazi’s Lagos Gyration – and a pace setter for what is likely to be a great run for Lady Donli.